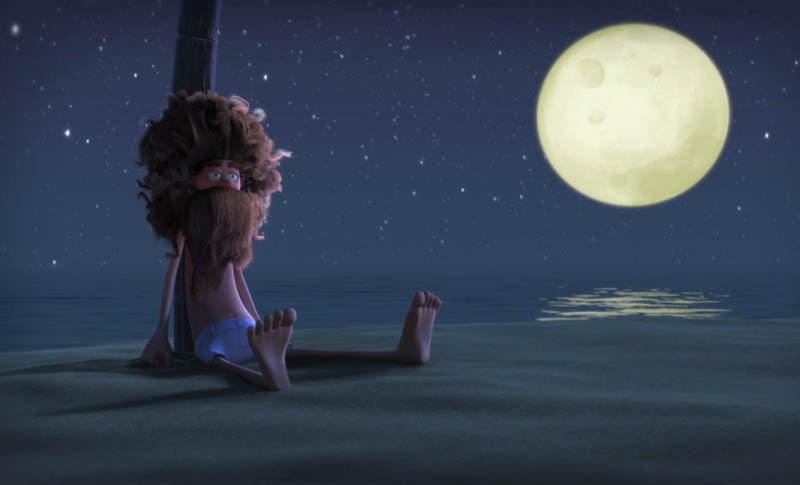 ‘An Ode To Love‘ is already a multi awarding winning short animation which has now just picked up another nomination, this time here at home from IFTA (best overall short). 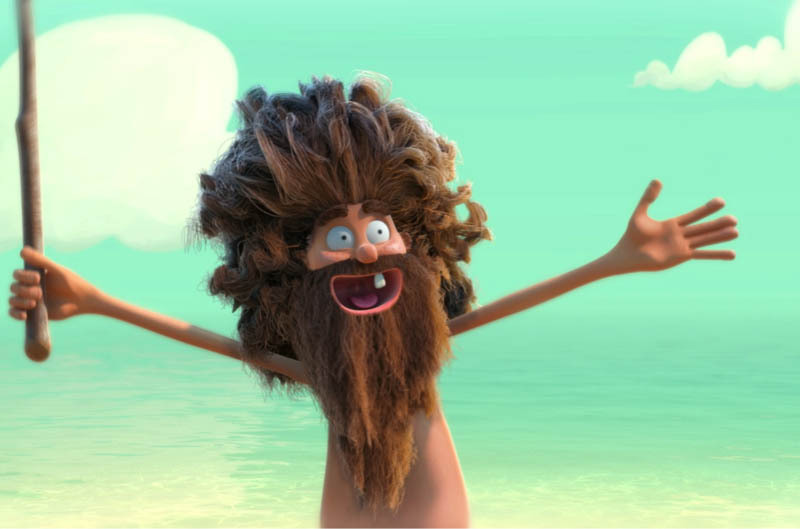 Director Matthew Darragh is a busy man, having been Episodic Director on Disney’s “Henry Hugglemonster” which has just finished its second season, he’s also writing a feature while bringing ‘An Ode To Love’ on the festival circuit this summer. Congrats on the nomination for An Ode to Love. Can you tell me what the short is about? Where did the initial idea come from? Thanks so much! We’re thrilled to be nominated. An Ode to Love is about a lonely man on a desert island who falls in love with a stick. Their relationship starts off wonderfully, but then it all starts to go terribly wrong. It’s a romantic tragedy I guess! I wrote it while living in Barcelona, at a time when everyone around me seemed to be experiencing all kinds of relationship dramas. I began to wonder just how much of that drama we encourage or even create from some kind of basic need for it. The story formed around that idea. Even though the stick in the story is just a plain old stick, our hero still somehow contrives to experience friendship, love, heartbreak and even despair in their relationship. With regards to working on your short animations, is that something you bring to Brown Bag Films yourself or do you guys have a system in place for working on them, i.e. are they outside of your day job and if so how do you balance the workload? There is a strong collaborative creative culture at Brown Bag Films. This includes a short film round every two years where we are encouraged to pitch our stories to a panel. This film was unusual for Brown Bag Films in that it followed a slightly different path. It was funded by Film base/RTE in 2013 and I set out to make it independently at an Artist’s Residency in the Greek Islands. I realised after a few months that it was too big for me to do alone, and I got in touch with Brown Bag Films to see if they would consider producing it and making it together. They were just finishing a short…Damien O Connor’s beautiful film “Anya”… so the timing was good! It took our core team about a year to make the film. We worked around the TV shows, enlisting the Brown Bag Films artists and production crew whenever they had any down time, and then outsourced some of the animation and lighting when we needed to. It was a delicate balance, but I was constantly amazed at the commitment of the team, who embraced it and gave so much of themselves to it. I think you can see that in the film, how much care was given to each stage of it by the crew. I think that passion has become a trademark of Brown Bag Film’s work and culture. I’m very grateful for our team. The film turned out so much better than even I had imagined it! 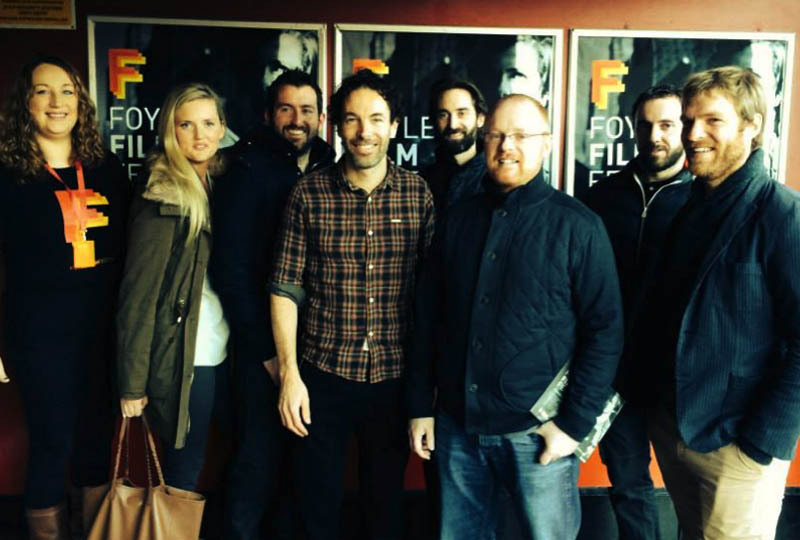 The ‘An Ode To Love’ team at the Foyle Film Festival, L to R; Foyle Film Festival rep, Suzie Belton, Ronan O’Neill, Matthew Darragh, James Stacey, Paul Sheehy, Barry O’Donoghue and Shane Collins. How do you know when you’ve got a ‘hit’ animation on your hands? What is it about the initial idea or concept that gets your attention? I had a really good feeling about An Ode to Love right from the start. I felt that the story somehow managed to express a complex notion of relationship in a simple and funny way, so I really pushed to get it made. For my own stories I tend to start with a central idea that I find meaningful or inspiring. With Ode it was that whole thing around drama, that on some level we actually welcome it to make ourselves feel more alive and important. That idea felt real to me and really stuck with me. In Pilgrim, one of my earlier films, the central idea was how we often find what we are looking for in the moment that we surrender to not having it, and the story of a fridge running across the desert searching for a socket formed as a way to express that idea. I try then to stay true to these central themes, to keep an awareness of them all the way through the production. I think humour is very important too. If people are laughing as they read the script then that’s a good sign for the film! There are little moments also during production which make you believe that the story is actually going to work. Filmbase/RTE generously put us forward for an award to have the film’s music scored by a great young composer, Stefan French, and then performed by the RTE Concert Orchestra. The result of that collaboration was so beautiful, and it gave us a lot of momentum and inspiration. Those little moments helped us to keep believing in it. I’ve a small grant to write a feature film, which I’m really looking forward to. The story is about a small girl who wakes up alone in the desert after a plane crash and has to find her way home. We’ve also just finished the second season of Henry Hugglemonster at Brown Bag Films, which has been a joy to work on. An Ode to Love is currently on the festival circuit and I want to travel with that as much as possible over the summer. It’s a delight to see it in the cinemas, to see people’s responses to it. The Irish Film & Television Academy will host two Awards ceremonies in 2015. The IFTA- Film & Drama Awards will take place on Sunday 24th May and The IFTA – Television Awards will take place in Dublin on Saturday 17th October. Best of luck to everyone!